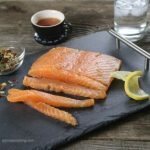 There is no need to cook salmon when curing as the salt and sugar preserve the fish in it’s natural juices, creating a tender and flavorful raw fish that you can enjoy. Cured salmon can be stored for up-to a month and it comes out like smoked salmon minus the smokey flavor. If you have ever been to a Russian or Ukrainian wedding you may have came across this kind of fish as an appetizer or side. 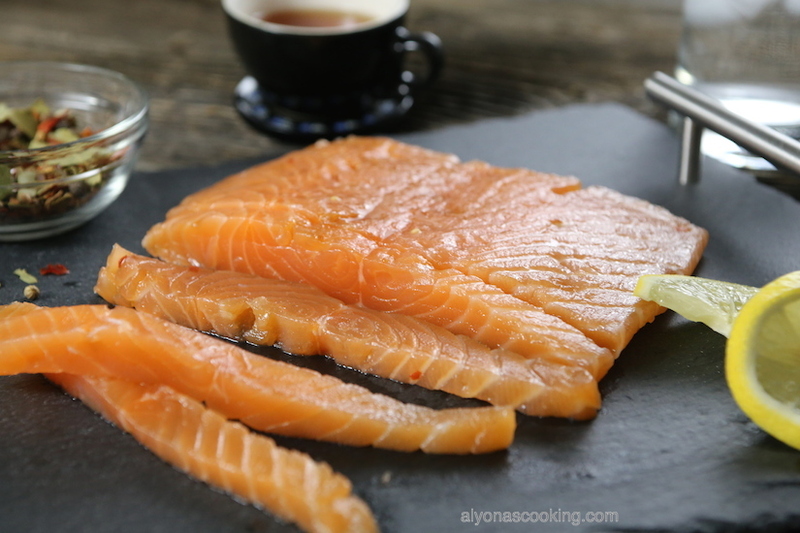 It’s usually cut into strips and eaten raw like smoked salmon. 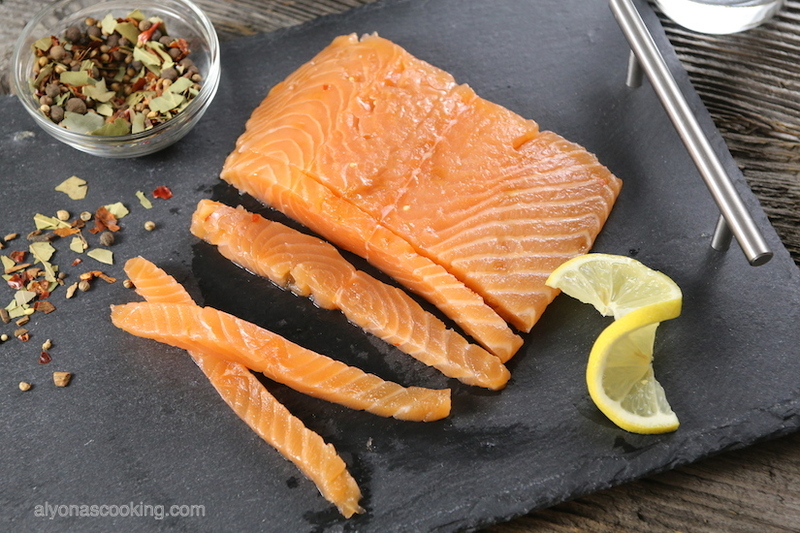 The curing helps the fish not to spoil so don’t be intimidated by eating raw fish, besides smoked salmon is cured fish and made just the same way (a combo of salt and sugar, plus the cold smoking or smoking liquid.) My husband commented that this fish is so good and that he could eat a chunk alone, I totally agree because this fish is really good! It’s not overly salty and the seasoning is right on! I purchased the pickling spice at a wholesale store but here is the exact product. I highly advise this seasoning! It’s very mild and so delicious, SERIOUSLY! Plus you can probably use it for canning tomatoes and pickles. I believe it has a blend of mustard seeds, crushed bay leaves, maybe coriander and other mild spices. Eat this alone or serve as a side and enjoy! NOTE: This recipe is ONLY for fresh salmon. Frozen salmon may not work for this. 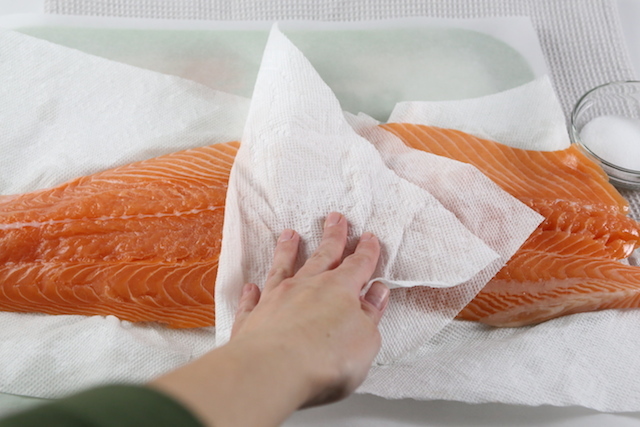 Wash and pat dry the salmon using paper towels. 2. 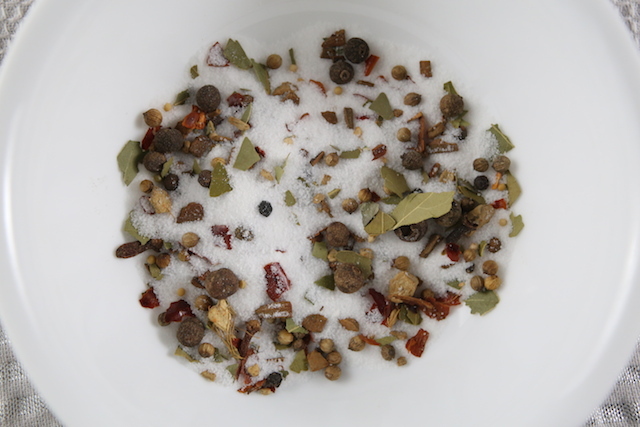 Combine the salt, sugar and pickling spice into a shallow bowl. 3. 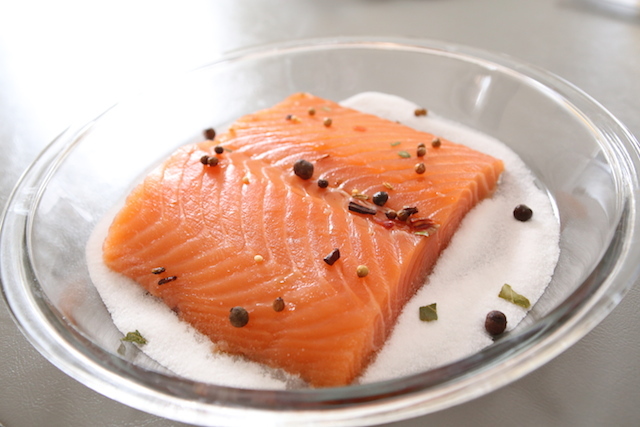 Cut the salmon fillet into 4 equal pieces and dredge each piece into the salt mixture coating each side very well. Make sure to use up all that seasoning mixture for all those pieces. 4. 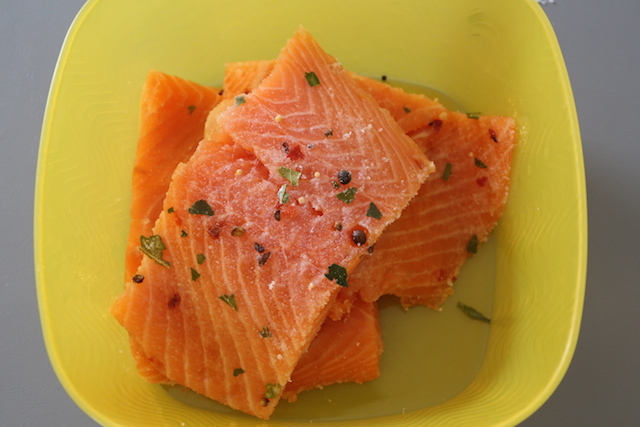 Place coated fillets into a large container (preferably with a lid) and refrigerate for 12-24 hours before eating. 5. To serve take a fillet chunk and wipe off the seasoning remnants. Grease the fillet chunk with 1 tsp of vegetable oil and slice. Serve cold. Note: Store salmon in the refrigerator for up-to one month. Natural juices should release from the fish, do not discard that liquid as that helps preserve the fish. 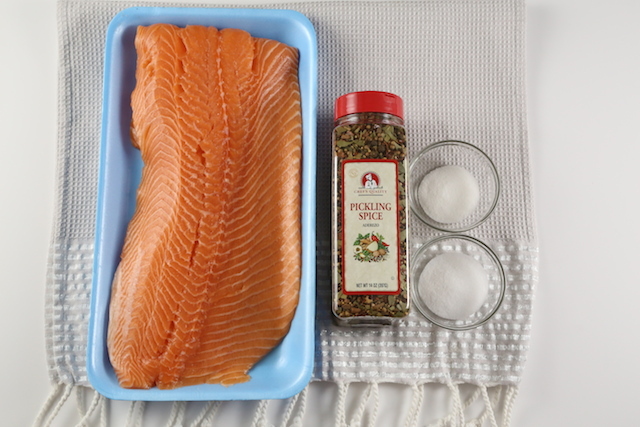 Cut the salmon fillet into 4 equal pieces and dredge each piece into the salt mixture coating each side very well. Make sure to use up all that seasoning mixture for all those pieces. Place coated fillets into a large container (preferably with a lid) and refrigerate for 12-24 hours before eating. To serve take a fillet chunk and wipe off the seasoning remnants. Grease the fillet chunk with 1 tsp of vegetable oil and slice. Serve cold.